Anita Roddick – British businesswoman, human rights activist and environmental campaigner. 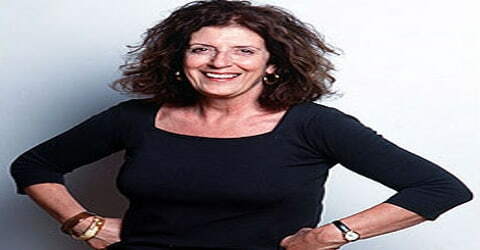 Anita Roddick, a British entrepreneur, was born on October 23, 1942, in Littlehampton, West Sussex, England. 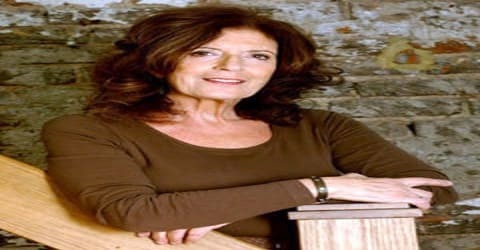 She was a British businesswoman, human rights activist and environmental campaigner, best known as the founder of The Body Shop, a cosmetics company producing and retailing natural beauty products that shaped ethical consumerism. The company was one of the first to prohibit the use of ingredients tested on animals and one of the first to promote fair trade with developing countries. As the founder of the Body Shop cosmetics chain, championed social issues such as environmental awareness, animal rights, self-sufficiency for less-developed countries, and other causes that she deemed worthy as much as she did the natural botanical-based beauty products that she extensively researched and marketed. Interestingly, The Body Shop was basically initiated out of economic necessity, to resolve the cash crunches and provide financial security to Roddick and her family. It was her travels and exposure to body rituals of women and having a first-hand experience of living with the fishing and farming communities and pre-industrialized people that gave her the edge over other dealers. She clubbed it with her mother’s frugality, thus introducing the concept of refillable containers and sample sachets that led to environmental activism that the brand promoted. The company was one of the first to prohibit the use of ingredients tested on animals and one of the first to promote fair trade with third world countries. Within no time, The Body Shop became extremely popular. Today, the company serves 77 million consumers through its 2000 stores across the time zones. Other than being an entrepreneur, she was an active environmental campaigner and a human rights activist. Anita opened the first Body Shop in 1976 to bring natural ingredients to health and beauty products, and the store became a global brand. Roddick was vocal in her support for social and environmental causes, including bans on animal testing. In 2006 The Body Shop was sold to L’Oreal. She was involved in activism and campaigning for environmental and social issues, including involvement with Greenpeace and The Big Issue. In 1990, Roddick founded Children on the Edge, a charitable organization which helps disadvantaged children in Eastern Europe, Africa, and Asia. Anita believed that business should offer a form of moral leadership, being a more powerful force in society than religion or government. 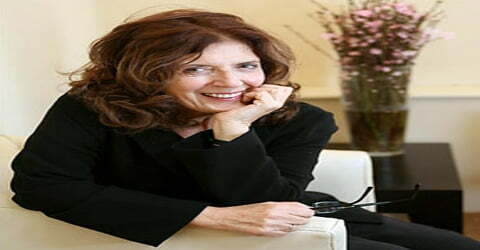 Dame Anita Roddick, (Anita Lucia Perella), was born on 23rd October 1942 in Littlehampton, England. Her parents were Italian immigrants who ran a café. As a child, she worked with her parents and had almost no time for leisure. Anita Roddick tied the nuptial knot with Gordon Roddick in 1970. By then, they had been blessed with a daughter while the other was on the way. In 2004, Anita was diagnosed with liver cirrhosis. Three years later, it was revealed that she was diagnosed with hepatitis C, which was the result of a blood transfusion that she underwent on the birth of her second daughter. 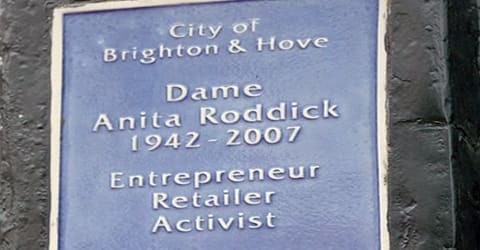 Anita Roddick was a close friend of Littlehampton Community School. In 2003, it successfully applied to become a Business and Enterprise specialist school. Much of the money required was donated by Roddick. As a result of this donation, a new building built with this money was named The Roddick Enterprise Centre (normally abbreviated to ‘REC’). The Littlehampton College also hosts ‘Roddick Days’ such as ‘Day of Action’ and ‘One World’; these events allow students to give something back to their local community and learn about what is happening around them. Later on, she opened a restaurant in association with her future husband Gordon Roddick. The business thrived and the couple soon established a hotel in the Littlehampton area. In her travels, Roddick admired the skin and hair of local women who used nothing more than indigenous plants. 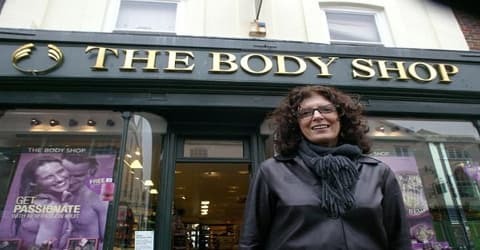 She worked to develop these and other natural ingredients into products for a broader audience and in 1976 opened the first Body Shop in Brighton. Anita opened another shop six months later. When her husband came back he too joined the business. The business had expanded to 700 outlets by 1991. Roddick got the 1991 World Vision Award for Development Initiative. The most successful marketing campaign by Anita was the 16 sizes red-haired doll named Ruby that was launched in 1997. By the late ’70s, she was authorizing franchises across Europe and personally promoting both her product line and her crusading social philosophy. The company went public in 1984. From 1990 Roddick divided her time between the company and the charitable Body Shop Foundation. Despite having no training or experience at a business, she adhered to her husband’s advice of banking on sales of more than 300 pounds a week. The main aim of her business venture was to provide quality skin care products in refillable containers and sample sizes. The Body Shop was launched when Europe was on its way for a ‘go green’ mantra. As such, the brand came well in time as it was largely accepted for its environment-friendly retail conventions. Also, it became the first socially and environmentally responsible business. The Body Shop started getting recognized and cool, funky and sophisticated. By 2004 there were 1980 Body Shop stores that served more than 77 million customers all over the world. The Body Shop is the second most trusted cosmetics brand in the UK and ranks 28th among the world’s top most brands. In 2006, it was bought by L’Oreal for £652 million stirring some controversy because L’Oreal does animal testing whereas Anita was known for being environmentally friendly and against animal testing. Roddick claimed that she will be involved with the decisions of the company in the future. Other than serving as the head of the brand, she was engaged in a lot of charity work. She was a member of the Demos think tank advisory council and was known for her campaigning work on environmental issues. Anita founded the ‘Children on the Edge (COTE) after her visits to the Romanian orphanages. The main aim of the organization was to help manage the crisis and work to de-institutionalise the children over the course of their early life. It aims to treat disadvantaged children. Her humanitarian efforts include stopping the dumping of toxic waste in the North Sea, campaigning against whaling of sperm whales, acid rain pollution, publication of the first Green diary, funding unrepresented nations and people’s organization, positive energy campaign and so on. Additionally, Anita served as a trustee or board member of many important organizations including Mother Jones Magazine – Foundation for National Progress, USA, Human Rights Watch, USA, The Ruckus Society, USA, and Nuclear Age Peace Foundation, USA. She also penned a book, ‘Take It Personally’ which encouraged equality and end to the exploitation of workers and children in underdeveloped countries. The Roddick Foundation, founded by Anita Roddick, gave four grants totaling £120,000 between 2009 and 2014 to CAGE, an organization aiming “to raise awareness of the plight of the prisoners at Guantánamo Bay and other detainees held as part of the War on Terror”. The Foundation, along with 2 other charities, agreed to cease funding CAGE under pressure from the Charity Commission, which expressed concern that funding CAGE risked damaging public confidence in charity. Lord Carlile, formerly the British Government’s independent reviewer of anti-terrorism legislation, said: “I would never advise anybody to give money to CagePrisoners. I have concerns about the group”. In 2015, the charity commission agreed to cease to interfere with charities’ right to fund CAGE, if they wished, following a judicial review. The judicial review heard that a British Cabinet Minister and US intelligence had applied pressure on the charity commission to investigate CAGE. On 14 February 2007, Anita Roddick revealed she had been diagnosed with hepatitis C. Roddick said, “I have hepatitis C. It’s a bit of a bummer, but you groan and move on”. She subsequently promoted the work of The Hepatitis C Trust and campaigned to increase awareness of the disease. On 30 August 2007, less than two weeks before her death, Roddick was a special guest in an episode of the live television programme Doctor, Doctor broadcast on Channel 5 in the UK, in which she talked about hepatitis C with the presenter and general practitioner, Mark Porter. On live television, Roddick explained that her hepatitis C was unexpectedly diagnosed in 2004, following a blood test that was part of a medical examination needed for a life insurance policy; the blood test indicated abnormal liver function and subsequent blood tests diagnosed hepatitis C. Roddick explained that she had a large blood transfusion in 1971, after the birth of her younger daughter, and that she was convinced that the transfusion had infected her with hepatitis C. This was about twenty years before blood donors were screened for hepatitis C in the United Kingdom. She reported that she had developed cirrhosis of the liver and that her main symptoms were itching and poor concentration. She briefly mentioned that medical treatment with interferon did not suit her. Roddick explained that she kept fit and active and that she attended biannual out-patient hospital appointments in Southampton, as well as being under review by the liver transplant team at the Addenbrooke’s Hospital in Cambridge. 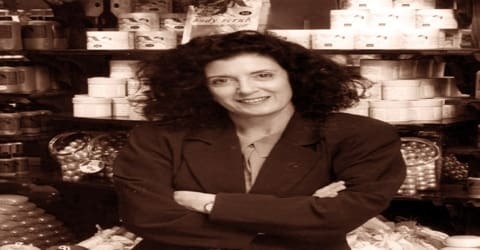 Anita Roddick stepped down from day-to-day management in 2002, but she was back in the news in 2006 when she sold the Body Shop International PLC for some £652 million ($1.14 billion) to the more conventional (and allegedly less ethically concerned) French cosmetics company L’Oreal. Roddick published her autobiography, Body and Soul, in 1991. She was made OBE in 1988 and DBE in 2003. It was reported in the ‘National Post’ that Anita Roddick had decided to give away most of her wealth estimated to be worth £51 million. She was knighted by the Queen in 1988. Apart from the OBE, Roddick received several awards and recognitions throughout her life. 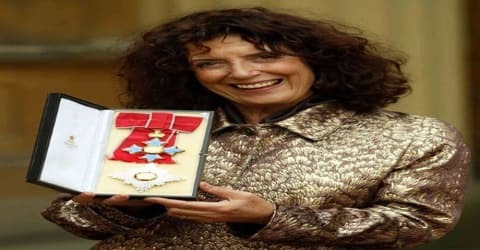 In 1988, Anita Roddick was bestowed with the prestigious Officer of the Order of the British Empire (OBE) rank. The other notable awards and distinctions offered to her include the honorary Doctorate from the University of Sussex (1988), the Mexican Environmental Achiever Award (1993), the Women’s Business Development Center’s First Annual Woman Power Award (1995), the United Nations Environment Programme (UNEP) Honouree Eyes on the Environment (1997), the British Environment & Media Award (1999), Honorary Doctorate of Public Service from the Sage Colleges (2004) and the Spirit of the Rainforest Award from the Rainforest Action Network (2006). In 2003, she was appointed as the Dame Commander of the Order of the British Empire by Queen Elizabeth II. Some other distinctions awarded to her include Women’s Business Development Center’s First Annual Woman Power Award, The Gleitsman Foundation’s Award of Achievement, International Peace Prayer Day Organisation’s Woman of Peace and Spirit of the Rainforest Award. Anita Roddick was hospitalized at St Richard’s Hospital, Chichester after a complaint of a severe headache. She died of an acute brain hemorrhage at about 6:30 p.m. on 10 September 2007. As promised, she left her estate to charities rather than to her friends and family. When details of her estate were published, it was disclosed that she had donated all of her £51 million fortunes upon her death. Anita Roddick’s original brochures were word-for-word copies of material produced by the Berkeley-based Body Shop. When Roddick decided to expand her multinational corporation into the United States, she bought the rights to the Body Shop name for $3.5 million from the original shop owners who also signed a confidentiality agreement. The original Body Shop renamed itself Body Time and remained in operation until April 2018. Entine also notes The Body Shop did not make charitable donations for its first 11 years of existence, despite Roddick’s statements to the contrary. 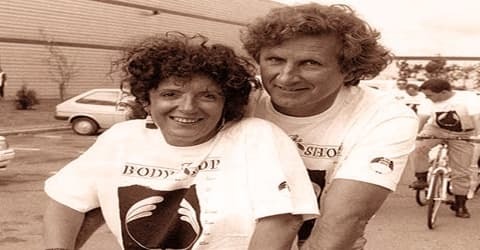 The Body Shop opened in Brighton in March 1976. The company entered the stock exchange in 1984. The first sponsorship, which was made possible by the wealth generated by the IPO, was for Greenpeace posters in 1985. 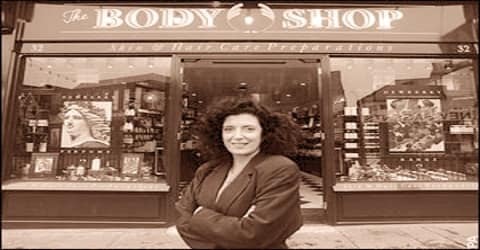 Anita Roddick was the famed entrepreneur who started the well-known cosmetic company, ‘The Body Shop’.